19 Jan Earn Ancient Mariner Fragments in the Arena! – New Event Starts Today! 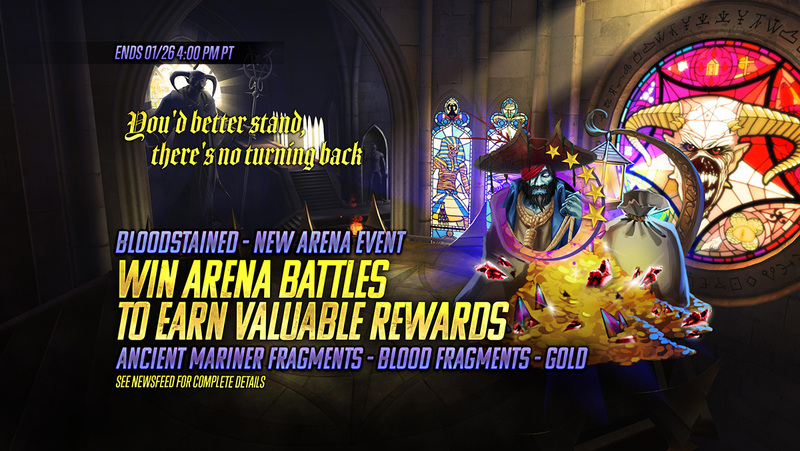 Bloodstained Arena Event on NOW! From January 19th to January 26th at 4 PM PT earn Ancient Mariner Fragments, Blood Fragments, Gold, and more by achieving milestones in the Arena! Track your Arena wins in the Event tab of the Challenge menu!